It's been a few years since I got stuck into Windows Mobile programming - back in the days of the Orange SPV when Windows Mobile was known as Smartphone 2002 - and the time has arrived to get back into it again. It used to be that Microsoft helpfully supplied you with a cut-down version of the Visual Studio toolkit called "Embedded Visual Studio" which you could download for free, but now you're handcuffed to Visual Studio .NET 2005 if you want to do anything with Windows Mobile 5.0 or later. No worries, it was time for an upgrade anyway. But of course, that's only part of the story - you need to get hold of the various SDKs, emulator images and associated bumpf which goes with it. 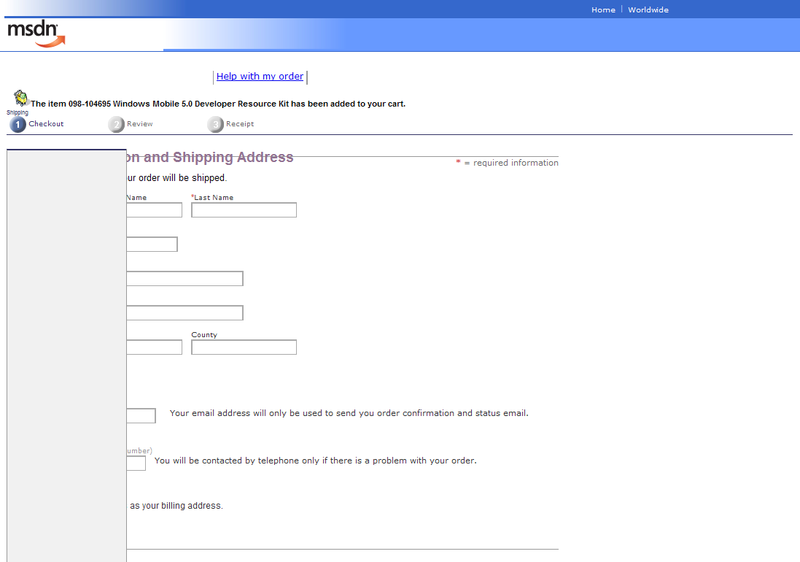 Microsoft now helpfully offer to ship you a couple of DVDs rather than letting you download it all (BitTorrent anyone?) so I thought, well, why not? 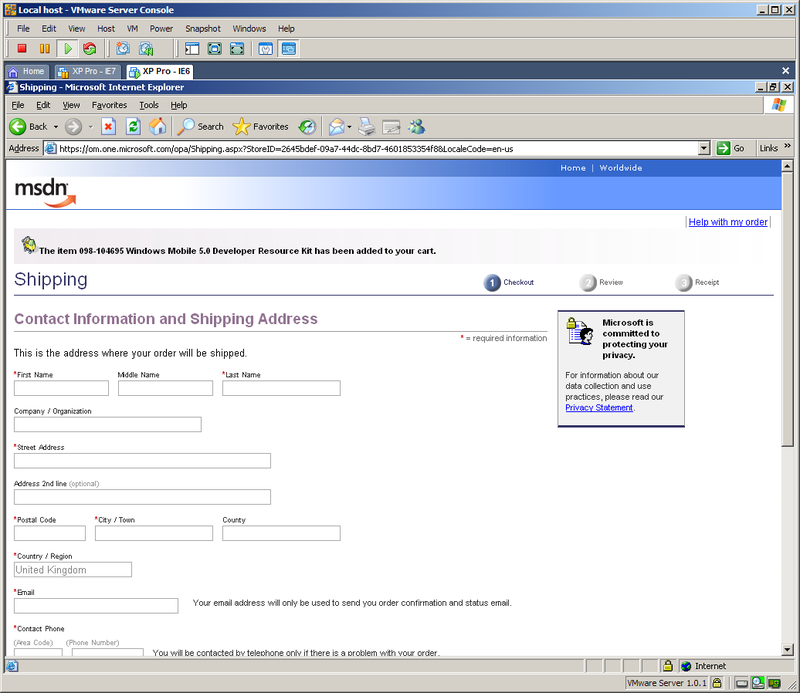 Yup, some of Microsoft's own internal pages don't work with IE7. Says it all, really, doesn't it?